A major volunteer event to take the transformation of Pacific View to the next level is scheduled for Saturday and Sunday, April 29 and 30, on the Pacific View campus, and the call has gone out for participants. 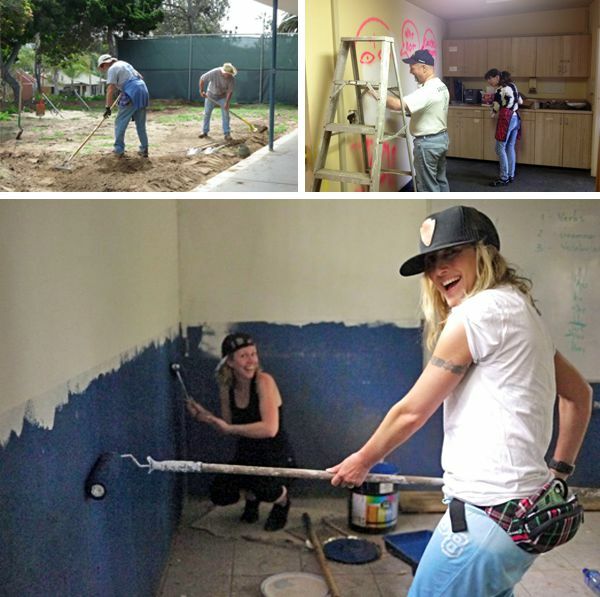 Timed to coincide with the Encinitas Spring Street Fair so that people can enjoy a double dose of uniquely Encinitas activities, the Weekend Makeover is being assisted by members of the North Coast Church of Vista as part of their Weekend of Service program. So far, broken windows have been replaced, a new roof has been installed and rotted eaves have been repaired. Volunteers will move the project forward by giving the former elementary school a new coat of paint and assisting with cleaning and landscaping projects. Tools, snacks and sunblock will be provided, and a lunch catered by Bull Taco will be served. Volunteers will also receive V.I.P parking at Pacific View. There will be two four-hour volunteer shifts each day from 8 a.m. to 5 p.m. Volunteers can sign up by emailing EACEAlliance@gmail.com. Under the guidance of the Encinitas Arts, Culture and Ecology Alliance, a non-profit consortium of various local arts groups and individuals, the campus is on track to become “a rich and dynamic visual, cultural and intellectual arts and ecology showcase at the new Pacific View Academy of Arts,” according to the EACEA website. Following its successful program last year, EACEA has announced a Class Of 2017 Donor Recognition Tile fundraising project. 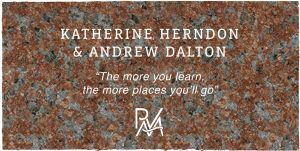 $250 before May 15 buys a 4″ x 8″ tile with the donor’s name and message (see artist’s conception photo) which will be posted in a prominent location or the Arts Academy campus. To participate, go here. For those who can’t volunteer for the weekend event, there will be a Pacific View booth at the Street Fair where tiles can be purchased and more Pacific View information will be available. The booth will be located by the Encinitas 101 MainStreet Association offices on the west side of the street at 818 South Coast Highway 101. In other Pacific View news, EACEA will hold its Community Participation Program (CPP) meeting on May 6 at the school, moving toward getting required approvals and permits from the city. Residents will be able to hear about plans for Pacific View and provide input. Start time is tentatively set for 10 a.m.
Also, the EACEA Board is in discussions to collaborate with the Solana Center in Encinitas and San Juan Capistrano’s Ecology Center as Pacific View design and programming plans are finalized. An informative email newsletter that describes Pacific View’s progress and goals is now issued periodically. You can subscribe here and read the most recent edition here.